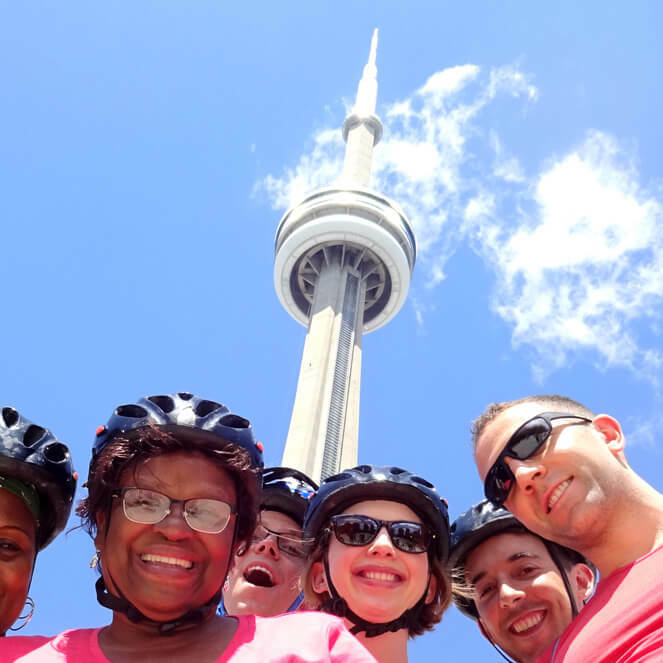 Exploring Toronto on your own or participating in a charity bike ride? Consider a bike rental from Toronto Bicycle Tours. We’ll make sure that you are fitted and comfortable. 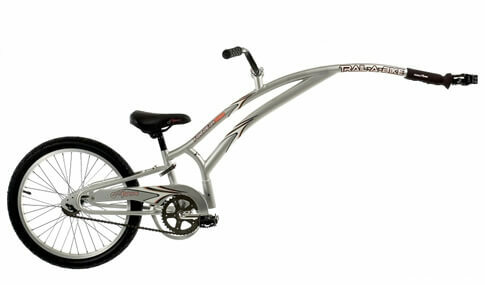 We rent hybrid bikes, tandem bikes, kids trailer bikes (age 4-7) and child seats (age 1-4). We’ll even give you some ideas of places to ride by providing you with a complimentary bicycle map of Toronto. Advanced bookings are required, either online (below) or by phone. 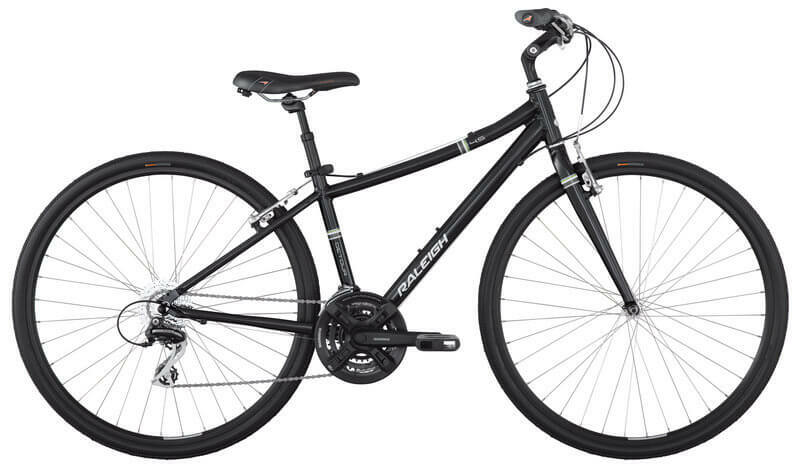 Includes a personally fitted high quality hybrid bicycle (similar to photo above), a helmet, a lock, personalized directions and a bicycle map of Toronto. 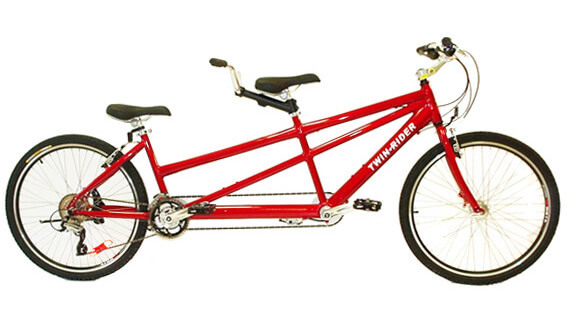 Great for couples, parents who want to ride with their children, those with a friend who doesn’t know how to ride a bike, or those who just want to try something different! Includes two helmets, locks, personalized directions and a bicycle map of Toronto. For our younger guests (ages 4-7). Attaches to the back of adult hybrid bike. Includes helmet. 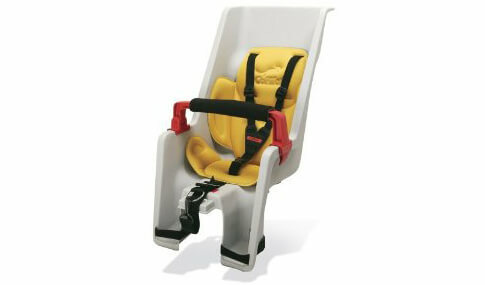 For our youngest guests (ages 1-4). Attaches to the back of adult hybrid bike. Requires a hybrid bike rental. Includes helmet.